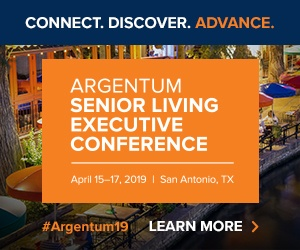 Though the accomplishment of achieving an occupancy rate of 95% or higher may have lost its luster for some industry analysts, the distinction still carries weight for many senior housing providers, and has become an integral component for many communities in their marketing and sales strategies. This is certainly true at Houston-based Belmont Village Senior Living, according to Carlene Motto, executive vice president and chief marketing officer at Belmont Village. Its Westwood community in Los Angeles has maintained 100% occupancy for 37 consecutive months. While full tenancy is the ultimate end goal for many senior housing communities, the road to 100% occupancy is paved differently for each provider and requires strategy based on what works best for each community and its respective markets. At Belmont Village, achieving 100% occupancy requires a “presidential” approach. Specifically, the company established a program called the President’s Club, which involves a community’s full- and part-time employees being thrown a party by members of Belmont’s C-suite at the end of the month each time the community has reached full occupancy. In addition to the celebration, employees receive a monetary bonus—full-time employees receive a $100 bonus check, while part-time employees each receive $50. There is no limit as to how many times a community can receive a President’s Club bonus, according to Motto. Overall, the incentive program helps new associates understand the company’s culture, Motto explained. “Everyone plays a tremendous role in the success, whether you’re a dining room service member, or a caregiver, you have an opportunity to make a difference,” she said. The President’s Club also gives Belmont a unique retention tool. As part of the program, management encourages staff to share the ways in which they’ve used their President’s Club bonus, with some immigrant caregivers sending the money back to family members in their native country. Sometimes, full occupancy takes an all-hands-on-deck mentality, according to Kyle Exline, executive director at at The Clare, a continuing care retirement community (CCRC) nestled in Chicago’s affluent Gold Coast neighborhood. The community is on track to reach 100% occupancy by the end of 2017. However, getting to this point has not been an easy feat for the community. In 2011, the community defaulted on municipal bonds, and experienced a change in ownership shortly after, according to Exline, who joined The Clare’s executive team in 2013 along with Lynne Lukas, director of sales and marketing. At this point, The Clare was only roughly 38% occupied. In the span of about four years, the company has turned things around, attaining its current 96% occupancy. Like Motto, Exline believes in the difference staff members can make in selling the community to prospective residents. Lukas also attributes the community’s success to its strategic online marketing efforts. Roughly 50% of leads come through The Clare’s website, which has become invaluable with respect to establishing initial one-on-one contact with prospective residents, she explained. Once achieved, maintaining 100% occupancy can be a continual balancing act with constant challenges, according to Motto. This is especially true when vacancies become available. “There are constant challenges based on ensuring that you have the right unit type that the resident and family is looking for, and that the family is also able to make that commitment in the time frame that we’re looking at,” she said. This balancing act also comes into effect when a resident might need to leave the community in the event of a major health change. In such cases, the resident’s needs become the top priority, according to Exline. “Whatever is best for that individual is the position that we take. We don’t even really think about occupancy when you’ve got a resident who may need assisted living or transfer to skilled nursing. We just deal with that after the fact,” he said. While there are many moving parts to juggle to achieve full occupancy, maintaining focus on the goal is paramount. “We do not budget 100% occupancy but our goal is to always strive to achieve that,” Motto said.